As Public Works Director, please allow me to welcome you to the Duncanville Public Works website. This site has been designed with the goal of providing a better, more useful resource for our citizens and website visitors. The Public Works department provides many of the basic services that affect the daily lives of everyone who lives and works in Duncanville. Primarily, the department is responsible for the administration, planning, maintenance, construction management, and engineering of the City’s infrastructure. The goal through annual budgets and capital improvements programs is to provide the best infrastructure possible as we maintain 155 miles of streets, 36 miles of alleys, 17 bridges, all roadside channels, 192 miles of water lines, 154 miles of sewer lines, and the entire fleet to support each City department. These operations are located at the Service Center located at 330 Shady Trail. The Engineering, Planning and Zoning, Floodplain Management, Building Inspection, Health Inspection, Code Services, and Stormwater Quality divisions are located at City Hall, 203 East Wheatland Road. I hope you find our website interesting and useful. Please visit our website often, as new content and features are added regularly. And, of course, I welcome your thoughts and ideas on how we can improve our website and Public Works operations in general. Bryan G. Ramey, II, P.E. Graduating with a Bachelor’s Degree in Industrial Engineering from the Georgia Institute of Technology in 1996 and a Master’s Degree in Engineering Management from the Missouri University of Science & Technology in 2002, Mr. Ramey has over twenty years of public service as a federal program manager and senior military officer in the Army Reserves. Mr. Ramey now brings that wealth of experience to the City of Duncanville. Greg joins the City as the Director of Public Works with daily oversight of the Public Works Department and budget responsibility over Engineering and Planning, Building Inspection, Code Enforcement, Drainage Administration, Drainage Maintenance, Utility Administration, Water and Sewer Utilities, Street Maintenance, Fleet Maintenance and Solid Waste. Major responsibilities as Director of Public Works also include development of the five-year plan for Capital Improvement Projects, development or review of all engineering plans, and management of all Public Works employees. Greg most recently served as Director of Public Works for the U.S. Army at Camp Arifjan, Kuwait, where he oversaw multiple facility maintenance and capital construction projects, planned and programmed future capital construction projects, and managed two military installations with a combined military population of over 6,500 personnel and 1,500 facilities totaling over 5 million square feet. 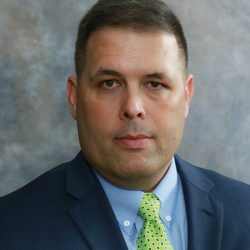 Greg’s professional career includes serving as Installation Program Manager for the U.S. Customs & Border Protection Agency, Director of Construction for JEL Management and Resident Engineer and Division Operations Officer for the U.S. Army Corps of Engineers. New customers can pick up a recycling bin at the city when they request water service. Residents can pick one up at the Service Center. Note: To trade out your old bin for a new one, please bring it with you. 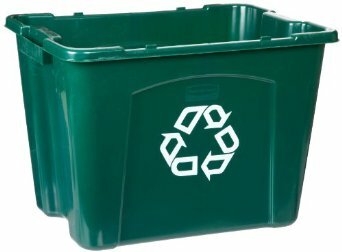 Or you can request a recycling bin by calling Republic Services at (972) 225-4207. Please make mention if you would like a trade out of your old recycling bin for the new one. Any company or utility that plans to work, excavate, install services, block, or otherwise disturb city easements or right-of-way areas is required to obtain a Right-of-Way Permit from the City.